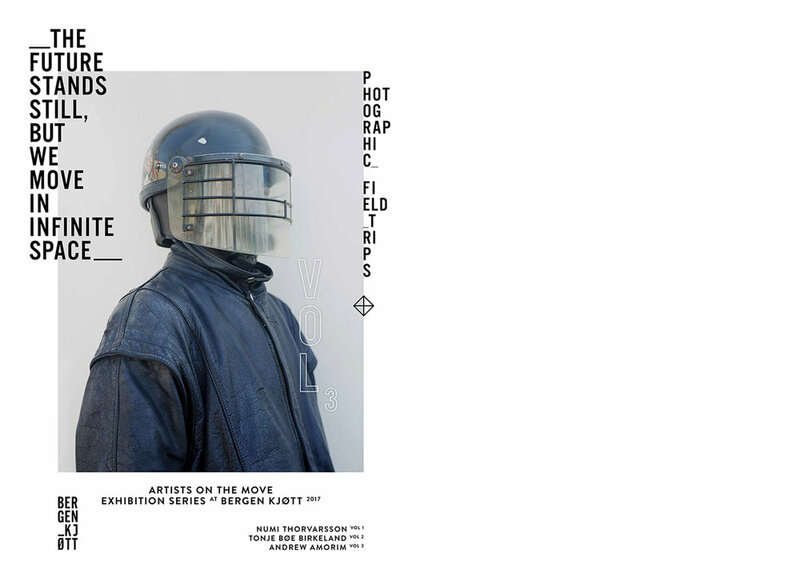 ARTISTS ON THE MOVE Vol. 1 Numi Thorvarsson, March 10th – 25th 2017 | Vol. 2 – Tonje Bøe Birkeland, May 26th – June 10th 2017 | Vol. 3 – Andrew Amorim, December 02th – December 17th 2017 | Vol. 4 – Kobie Nel, April 28th – May 13th 2018 | Vol. 5 – Bjørn Mortensen October 10th – November 25th 2018. Photographic Field Trips. The artist with camera in hand. A wish to document and simultaneously take part in something meaningful, valuable, fascinating – or just beyond words. The artist stands alone. The artist on the move is the stranger who tries to get in, to be accepted. Experiences go beyond expectations, the realisation surpasses the conception. The four artists share a curiosity and a tenderness in meeting new cultures and places. Today empathy and openness for other cultures are more important than ever. 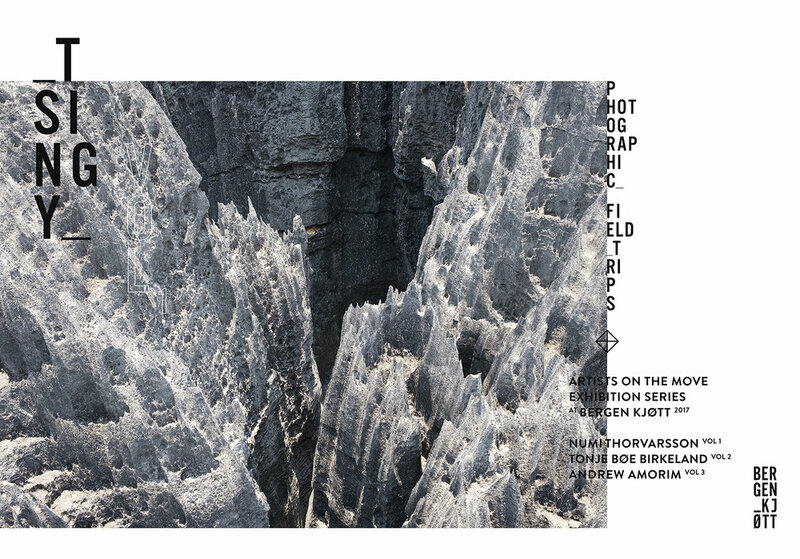 Photographic Field Trips is the first thematically curated exhibition series at Bergen Kjøtt: an institution which aims to be recognized as a clear and challenging voice – locally and internationally – somewhere between the large art institutions and the independent, artist-run spaces. Production support and a professional team – both in a technical and artistic sense – help create opportunities, nurture artists’ ambitions and emphasize individual artistic expression. Photographic Field Trips makes it possible for the artist to follow dreams and desires beyond the normal project and exhibition format. Photographic Field Trips is produced by Bergen Kjøtt with support from Arts Council Norway. The Future Stands Still, But We Move In Infinite Space has received additional support from Fond for lyd og bilde and Billedkunstnernes Vederlagsfond. 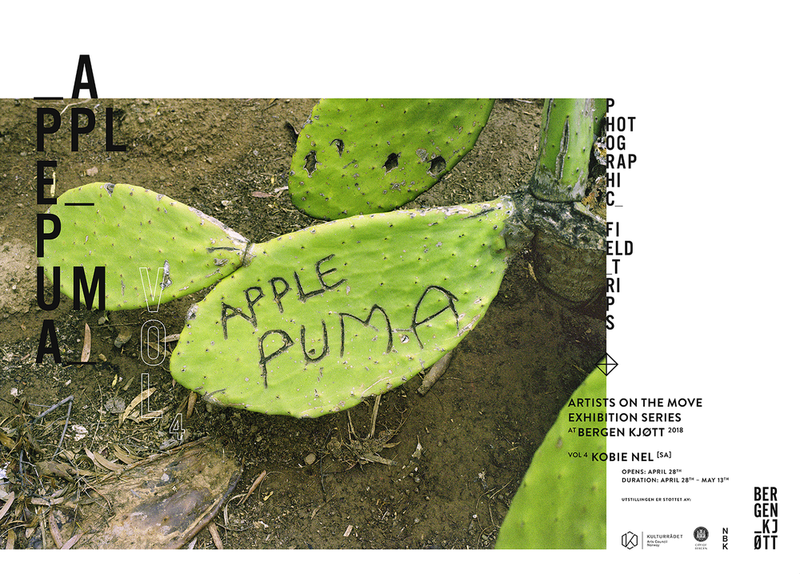 Apple Puma has received additional support from NBK. Born 1983. Lives and works in Bergen. Thorvarsson graduated from Bergen National Academy of The Arts in 2016. Born 1985. Lives and works in Bergen. Birkeland graduated from Bergen National Academy of The Arts in 2012. 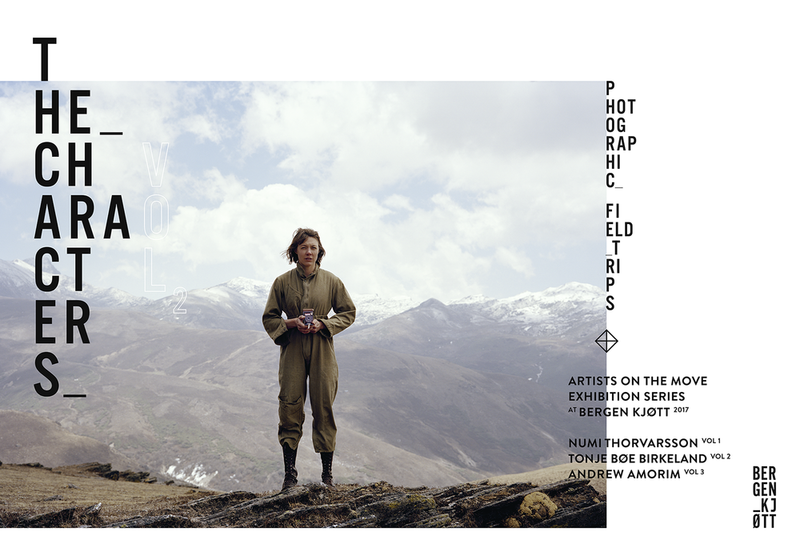 The Characters, a project begun in 2008, positions women within landscape while exploring the authenticity of history. Staging female explorers in expeditions to Unknown Territory, The Characters divulges stories in the forms of photographs, journals and found objects. Amorim graduated from Bergen National Academy of The Arts in 2016. Kobie Nel (b. 1984 in Bloemfontein, South Africa) is an artist living in Bergen. She completed her BA in Photography at the Royal Melbourne Institute of Technology (RMIT), Australia and obtained MFA from the Bergen Academy of Art and Design (KHiB) in 2016. Nel has recently exhibited at Tag Team Studio; Bergen, Galleri FELT, Bergen, I: project space; Beijing and Hong Kun Museum for Contemporary Art; Beijing. In 2017 Nel published her first artist book, Black Lake Monologue, with CODA press launched at Entrée in Bergen.